PARIS – November 9, 2015 – With the completed acquisition of Alstom’s power and grid businesses, GE Digital Energy and Alstom Grid have combined to form Grid Solutions, a GE and Alstom joint venture. By bringing together more than 200 years of experience in advanced energy solutions, Grid Solutions equips 90 percent of power utilities worldwide with estimated revenues of approximately $6.2 Billion. ATLANTA—September 25, 2015—Solidifying its position as an industry leader, GE’s (NYSE: GE) Digital Energy business announced it has been named a leader in the IDC MarketScape: GIS Software for EMEA Utilities 2015 Vendor Assessment (doc #EIRS01X, August 2015). The recognition is part of a report recently published by the organization, which helps information technology professionals, executives and investors make fact-based decision on technology purchases and business strategy. Evaluating buyer perception and GE’s Smallworld Geospatial capabilities against other industry vendors offering similar technology, the findings place GE Digital Energy as a leader in the IDC MarketScape report. WINNIPEG, MANITOBA – August 12, 2015 – A consortium led by GE’s Digital Energy business (NYSE: GE) has won a milestone engineering, procurement and construction (EPC) contract from Manitoba Hydro to build a new, 66 kilovolt gas-insulated substation (GIS) to help meet Winnipeg’s growing energy needs. The contract, valued at 31.4M CAD is the first substation order for GE’s Digital Energy business in Canada. 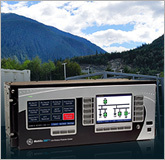 MONTERREY, MEXICO—July 9, 2015—Helping to improve safety at urban substations, Prolec-GE (NYSE: GE) has announced that it has developed a new power transformer that utilizes a synthetic ester liquid instead of traditional mineral oil. 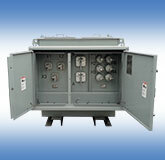 Transformers represent the most significant fire safety challenge in electrical substations. By using a less-flammable synthetic ester liquid as a coolant and dielectric insulator instead of traditional oil, the risks associated with a potential transformer fire are significantly reduced. The synthetic ester has a high flash point, which makes it virtually impossible to sustain a fire once the transformer protections interrupt the electrical arc in the event of a fire. 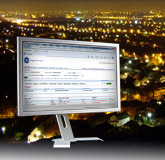 GHENT, BELGIUM – June 29, 2015 – GE’s Digital Energy business (NYSE: GE) has announced that Eandis, the largest distribution operator in Belgium, has implemented and gone live with its PowerOn™ Advanced Distribution Management System (ADMS). 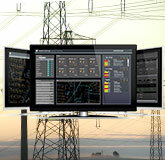 The software platform enables Eandis, which covers 80 percent of all grid connections in the Flemish region of Belgium, to improve the efficiency and operation of its gas and electric grids as well as its renewable energy integration capabilities. ATLANTA – June 16, 2015 – GE’s Digital Energy business (NYSE: GE) today launched its Multilin™ 845 Transformer Protection System, part of the company’s industry-leading Multilin 8-Series platform of protective relay devices, which includes the 850 Feeder Protection System and the 869 Motor Protection System. 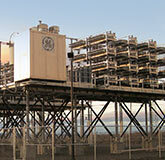 Helping customers to better manage the performance and longevity of their critical power and distribution substation transformers, GE’s Multilin 845 protection system offers an integrated approach to both electrical and dissolved gas analysis (DGA) transformer monitoring and diagnostics, enabling comprehensive asset management – the first solution in the industry to do this. ATLANTA – June 3, 2015 – Anticipating the solar industry’s need for higher transformer capacities, GE’s Digital Energy business (NYSE: GE) announced today an expansion to its PROLEC-GE Solar Pad-Mounted Transformer portfolio. 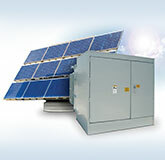 The new solar unit, designed to extend scope capabilities from 2 megavolt amperes (MVA) to 2.8 MVAs for dual low-voltage winding and from 3 MVAs to 4 MVAs for single low-voltage winding, demonstrates one more way GE is helping customers effectively navigate the solar market – expected to grow at an annual rate of about 13 percent over the next several years. 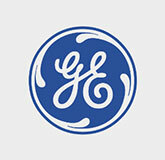 HOA BINH, VIETNAM – May 11, 2015 – Today, GE’s Digital Energy business (NYSE: GE), a business subsidiary of General Electric, announced it successfully upgraded and energized 14 of the 18 series capacitor banks at the Da Nang – Ha Tinh, Phu Lam – Pleiku and, most recently, the Nho Quan – Ha Tinh transmission lines. 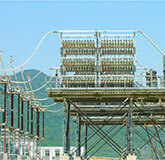 The upgrade marks the latest project milestone for the company, which has continuously been advancing Vietnam’s 500-kilovolt (kV) transmission lines – the “backbone” of Vietnam’s North-to-South power transmission – for four years. BILBAO, SPAIN – May 4, 2015 – GE’s Digital Energy business (NYSE: GE) today announced a milestone deal with Terna Rete Italia, Italy’s transmission system operator, to help it deliver more reliable power to businesses and residences across the country while and to more efficiently integrating renewable energy. With 63,500 kilometers of high-voltage power lines, Terna was looking for a solution that could help it easily gather real-time data from the power grid to detect potential faults or disturbances on the grid and to take corrective actions to prevent outages. ATLANTA - April 28, 2015 - When planning a wind plant, collector cable systems play a critical role in how efficiently power can be delivered from the point of generation to the grid. An optimal collector system design can help minimize electrical losses, cable and trenching costs and substation configuration costs. 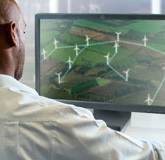 The new Wind Collector Optimization Service from GE’s Digital Energy business (NYSE: GE) uses grid intelligence to help utilities, developers and contractors better plan the layout of their wind farm by providing an in-depth look at possible collector cable configurations and the benefits and drawbacks of each. 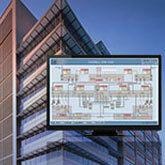 With this information, system design can be optimized to reduce start-up costs and improve operational efficiency. SCHENECTADY, N.Y. – April 22, 2015 – Today, GE’s Energy Consulting business (NYSE: GE) is being recognized with two 2015 Annual Achievement Awards from the Utility Variable-Generation Integration Group (UVIG) for its leadership in the segment of renewables integration in utility applications. GE is receiving the awards today at UVIG’s Spring Technical Workshop and Annual Meeting – which is being held April 21-23 in Minneapolis. 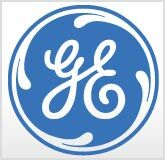 ATLANTA — March 31, 2015 — GE’s Digital Energy business (NYSE: GE) today announced that it has been named as one of the industry’s leading providers of advanced distribution management systems (ADMS) by Gartner, the world's leading information technology research and advisory company. This position was stated in a recent report issued by Gartner* where it analyzed the capabilities of 10 vendors that offer ADMS solutions. ATLANTA - March 6, 2015 - Today, GE’s Digital Energy business (NYSE: GE) announced that UK Power Networks—the U.K.’s largest power distribution company—is the first to implement its latest release of its Automated Power Restoration System (APRS) on a live system. UK Power Networks will be deploying this latest innovative technology, a module of GE’s PowerOn advanced distribution management system (ADMS), across its high-voltage networks in London, the Southeast and East Anglia throughout this year. COLORADO SPRINGS, COLO. – March 3, 2015 – When major events such as severe storms knock the power out, expedited utility response times are crucial to ensure utility customers’ well-being and timely restoration. Critical information must be seamlessly exchanged between the utility’s grid management solution – such as its outage management system (OMS) – and its field workers who are assessing networks and repairing the damage. 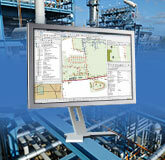 The new PowerOn™ Response software from GE’s Digital Energy business (NYSE: GE) does just that. By simultaneously integrating field and OMS data, a utility will have a much clearer picture of where network damage exists, enabling repair crews to dramatically speed up the process of getting the power back on. COLORADO SPRINGS, Colo. – March 2, 2015 – The forces of population growth, urbanization, climate change, surging energy demand and dwindling resources are reshaping how the world thinks about power. As these pressures intensify, so do the obstacles utilities, telecommunications and industries must overcome to deliver always-on, reliable electricity, including unplanned outages, optimization of existing grid assets and grid congestion. REYKJAVIK, ICELAND – February 17, 2015 – Helping to modernize and optimize the utility grid in Iceland, GE’s Digital Energy business (NYSE:GE) today announced that it will provide Reykjavik Energy – Iceland’s largest utility company – with its PowerOn™ Advantage advanced distribution management system (ADMS). The addition of GE’s grid software will enable Reykjavik Energy to reduce operational costs while also improving functionality and the quality of the power it supplies to the Reykjavik population. SAN DIEGO – February 4, 2015 – GE (NYSE: GE) has been selected by Consorcio Energético Punta Cana Macao (CEPM) – a standalone electrical utility, generating, transmitting and distributing electricity in the exclusive concession area of Bávaro and Punta Cana in the east of the Dominican Republic – to deliver more than 14,000 smart meters and GE’s Grid IQ™ point-to-multipoint (P2MP) advanced metering infrastructure (AMI). 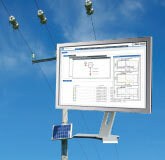 The solutions will provide CEPM with crucial electrical data to improve grid efficiency and operational performance. SAN DIEGO – February 3, 2015 – GE’s Digital Energy business (NYSE: GE) today announced that it has released its Mobile Enterprise Damage Assessment App, a mobile solution for electric, gas and water utilities and telecommunications operators which enables anyone – utility crews, neighboring utility crews, police, fire departments, etc. 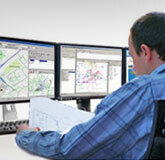 – to capture network asset damage after storms or other events. This allows the utility to better understand the scale, location and severity of network damage, supporting more accurate estimated time to restoration and better coordinated efforts to restore services more quickly. SAN DIEGO – February 3, 2015 – Improving the efficiency and resiliency of electrical transmission and distribution networks is important to meet increased demands. At the same time, ensuring the highest level of safety possible for installation crews, maintenance personnel and individuals that may come in close proximity to high-voltage equipment is essential. Understanding these needs, GE’s Digital Energy business (NYSE: GE) developed solutions that are capable of improving safety conditions across entire electrical distribution networks – without compromising performance. SAN DIEGO – February 2, 2015 – Hurricanes, ice storms, wide-scale flooding: global economic losses caused by extreme weather events have risen to nearly $200 billion per year in the last decade. Damage inflicted from extreme weather conditions, including unplanned outages, causes problems across entire distribution networks, creating havoc for utilities. When dealing with these unplanned outages, it becomes a race against time – and a battle against data – for utility companies to restore safe, reliable and efficient power to their customers and to critical facilities and infrastructures. SAN DIEGO – February 2, 2015 – GE’s Digital Energy business (NYSE: GE) today announced it has improved the customer experience of its advanced Smallworld™ geospatial solutions by adopting industry-leading Java™ technology from Oracle. By utilizing Java, GE is able to use the world’s largest software ecosystem, enabling cost of ownership reductions for its Smallworld customers though Java’s extensive available resources, existing code libraries and simplified integration to other key enterprise systems. 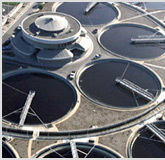 SAN DIEGO – January 29, 2015 – With global electricity consumption expected to rise by more than 70 percent by 2035, utilities face the task of satiating consumers’ increased energy demands. Their ability to meet these demands, however, can be impeded by obstacles that accompany an aging infrastructure such as grid congestion and the optimization of existing grid assets. The intensification of extreme weather events – which nearly tripled worldwide between 1980 and 2014 – adds to these challenges with utilities often limited in their ability to anticipate, communicate and therefore prepare for unplanned outages. ATLANTA – December 16, 2014 – GE’s Digital Energy business (NYSE: GE), in collaboration with Underwriters Laboratories (UL), has announced that its commercial and industrial smart meters have achieved a UL voluntary safety certification, making them the first meters of this type in the industry to receive this significant mark. 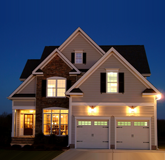 In April 2014, GE announced that its residential smart meters were the first in the industry to achieve the UL safety certification, and today, this certification has been expanded to include GE’s commercial and industrial smart meters. 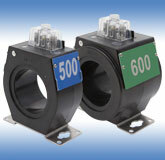 ATLANTA - November 24, 2014 - GE’s Digital Energy business today announced that orders for its Encompass™ and RevenueSense™ 600-volt current transformers were up 41 percent from when the products launched in June of this year. 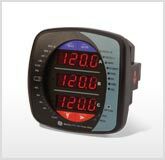 Both products enable a utility to maximize billing revenue by ensuring more precise meter readings. Due to the range of applications that both products can cover, a utility also can reduce its inventory by up to nearly 90 percent when using these products. 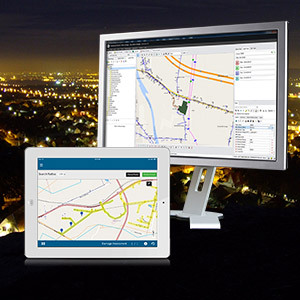 ATLANTA—November 12, 2014—GE’s (NYSE: GE) Digital Energy business today announced that it has been named as one of the industry’s leading solutions provider of Utilities Geographic Information Systems software. This was announced in a recent report issued by Gartner where it analyzed the capabilities of several of GE’s competitors that offer similar Geographic Information Systems. 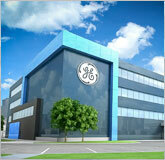 GE was positioned the highest for ability to execute in the report. 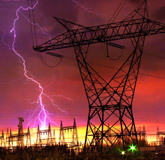 Breakingenergy.com--November 12, 2014--As society becomes more and more dependent on technology and Mother Nature continues to deliver dramatic weather events across all parts of the globe, utilities must develop and deploy newer and more advanced grid technologies that can proactively respond to potential impacts and recover quickly from outages. 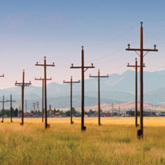 But, is grid modernization only about the technologies utilities employ or is it also about the relationship between utilities and their consumers? 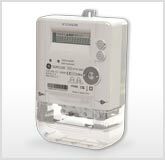 AMSTERDAM--November 4, 2014--GE's Digital Energy business (NYSE: GE) today announced that it is prepared to help U.K. utilities meet new government requirements mandating smart meters in every home. The legislation requires all U.K. utilities to install smart meters in residential and commercial locations by the end of 2020. MARKHAM, ONTARIO—October 28, 2014—GE (NYSE: GE) today announced a historic deal which will help Georgia Power, a subsidiary of Southern Company, deliver more reliable power to its 2.4 million customers across the state. With more than 2,000 transformers across its electrical grid, Georgia Power wanted to better understand the condition of its transformer fleet to help avoid unexpected failures and gain greater insight into the overall health of its fleet. ATLANTA—September 23, 2014— GE’s (NYSE: GE) Smallworld Network Inventory™ solution has been selected by eircom, Ireland’s national telecommunications provider to roll out its new broadband network across Ireland. 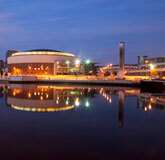 eircom chose the Smallworld Network Inventory solution to manage its entire physical network in a single system, enabling them to replace multiple disparate systems, including their legacy geospatial platform. GE is excited to announce the latest release of the Perception Fleet Transformer Risk Management Software v1.16, bringing enhanced analytics and simplified data access. 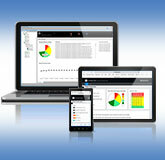 Perception Fleet v1.16 introduces an enhanced web browser interface to Perception Fleet for convenient browsing of Perception data from anywhere with an internet connection on a PC, smart phone or tablet. This release also provides improved analytics, a new algorithm for analyzing transformer OLTC's, and export and import functionality has been updated to support exportation and creation of full asset's details. 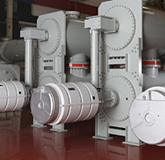 MARKHAM, ONTARIO – September 10, 2014 – GE (NYSE: GE) today announced the availability of the Multilin™ 869 Motor Protection System designed for the protection, control and management of medium and large induction and synchronous motors. 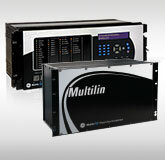 Built on GE's 100+ year history in industrial electrical automation, the Multilin 869 joins the Multilin 850 feeder protection system to create a common product platform that will enable industrial and distribution utilities to enhance the reliability of multiple different assets in their electrical infrastructure and reduce costs associated with unplanned outages. PARIS – August 27, 2014 – With rising power demands and the risk of city-wide blackouts, GE's Digital Energy business (NYSE: GE) has partnered with Iberdrola Ingeniería y Construcción (IIC) to build a 220 kV ring around the Nairobi metropolitan area (referred to as the Nairobi Ring Project) for the Kenya Electricity Transmission Co. Ltd. (KETRACO) to improve the reliability and efficiency of their grid. With much of Nairobi's power reaching the city through one established electricity path, the goal of the Nairobi Ring Project was to provide alternative electricity paths on the grid to improve power efficiency, reliability and security. 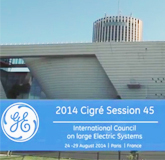 PARIS – August 27, 2014 – Interconexión Eléctrica S.A. E.S.P. (ISA), one of South America’s largest utility companies has agreed to work with GE’s Digital Energy business (NYSE: GE) to deliver power to some of the most isolated regions in Colombia, Chile and Peru. 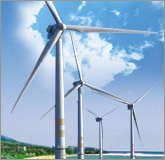 PARIS – August 26, 2014 – Today at CIGRE GE’s Digital Energy announced the supply of two +50/-25 MVAr synchronous condensers to KEPCO, the Korea Electric Power Corporation, that will modernize infrastructure and transport more power on the existing grid network of one of South Korea’s most prized islands. 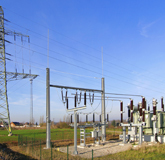 PARIS – August 26, 2014 – Today at CIGRE GE’s Digital Energy announced the successful completion of a modernization project with Sweden’s state-owned utility Svenska kraftnät (SvK) that will allow SvK to transport more power on the existing power line. PARIS — August 25, 2014 — Helping to meet the growing integration of solar energy, GE’s Digital Energy business (NYSE: GE) today launched its three-phase, PROLEC-GE Solar Pad-Mounted Transformer. 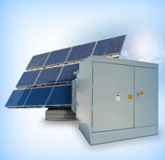 With PROLEC-GE’s three-phase solar pad-mounted transformers, the energy coming from the solar inverter and generated by photovoltaic (PV) cells in solar farms will be transformed from low voltage to medium voltage. 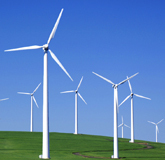 PARIS — August 25, 2014 — While the integration of wind energy continues to have broad public policy support, consumers are playing a larger role to ensure their electricity provider is using higher levels of renewable power to meet their clean energy expectations. To address the growing demand, GE’s Digital Energy business today announced that its Synchronous Condenser technology will be used in First Wind’s Oakfield wind farm in northern Maine to support the public’s demand for wind energy. 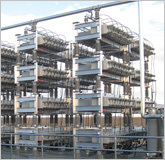 PARIS — August 25, 2014 — GE (NYSE: GE) today announced that it has set a new industry milestone to support global utilities in their management of grid congestion on their low voltage networks. GE made the announcement on the first day of CIGRE, a global Transmission and Distribution trade show, to focus more attention on the growing challenge of grid congestion. ATLANTA — August 21, 2014 — As Europe drives towards greater energy efficiency and increased grid complexity, GE (NYSE: GE) continues its mission to help utilities build a modern grid to meet electricity demands. Similarly, empowered consumers are driving the integration of solar, wind and electric vehicles — driving grid operators to seek new solutions to upgrade their situation’s awareness. 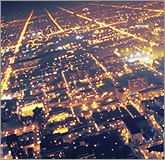 ATLANTA — August 14, 2014 — GE's Digital Energy business (NYSE: GE) today released the results of its Grid Resiliency Survey, measuring the U.S. public's current perception of the power grid, its experiences and future expectations. 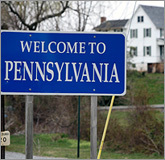 The survey was implemented following a very active 2014 winter storm season that led to several power outages, impacting millions of Americans. ATLANTA - July 9, 2014 - Most major cities in North America today have electrical distribution networks contained under sidewalks, roadways, and inside buildings to reliably serve dense electrical loads that large, metropolitan areas require. 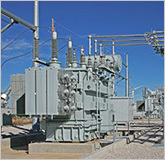 The transformers that are used in these applications are referred to as network transformers. The nature of these installations requires the network transformers to be installed in close proximity to pedestrian and other traffic. HELSINKI—4 June 2014—Comptel Corporation (OMX Helsinki: CTL1V) today announced that it is integrating GE’s (NYSE: GE) inventory software solutions to help communications service providers (CSPs) manage and access the large amount of data split across multiple inventory systems. By enabling service orchestration to reach beyond inventory, operators can ensure reliable, accurate and efficient service delivery, decrease costs resulting from “truck rolls” and maintain the customer experience. 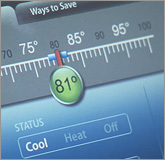 ATLANTA—June 12, 2014—In today’s volatile economic climate, utilities can’t afford costly errors from incorrect billing. 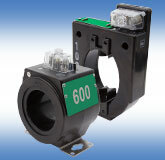 Despite this, a traditional 600-volt current transformer—which measures energy usage by reducing electrical currents—is at risk for producing less accurate readings when currents fall outside its rated level. 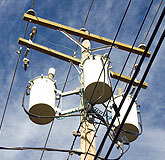 The result is potential lost revenue for the utility’s bottom line. MARKHAM, ONTARIO—June 3, 2014—When it comes to the modern grid, timing is everything. 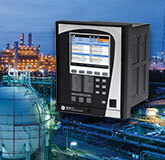 Without accurate and reliable time synchronization, grid-connected devices such as automatic-control and system-protection equipment could be at risk for frequency errors. If an unexpected outage does occur, inaccurate time stamps also can make it difficult for grid operators to identify the sequence of events that led to the outage, potentially extending the time it takes utilities to recover from and prevent future occurrences. ATLANTA—May 19, 2014—As drilling extends deeper into the earth, oil and gas drilling operators need the ability to change voltage requirements and specifications. Helping to establish a more reliable supply of electricity for these applications, GE’s Digital Energy business (NYSE: GE) today introduced the new PROLEC-GE Multitap Transformer. This new offering responds to a growing industrial trend to deliver customized power to energy-intensive industries such as oil and gas, which have specific electricity requisites to maintain their operations. ROCHESTER, N.Y. - May 6, 2014 - Utilities increasingly face pressure to provide reliable communications for critical services. There is a need to maintain low latency end-to-end propagation delays, a need to restore service in the event of a disruption within 10 milliseconds, as well as a continued need to operate within the harsh electrical and environmental conditions of a power substation. 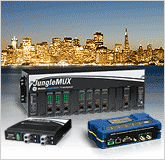 Through pairing Optelian solutions with GE's JungleMUX and TN1U/Ue multiplexers, utilities facing capacity constraints on existing fiber segments or requiring communications over extended fiber cable lengths now have a cost-effective solution. CHICAGO - April 30, 2014 - Transforming how the transmission and distribution utility industry learns, tackles and solves power system challenges, GE's Digital Energy business (NYSE: GE) unveiled its Grid Explorer™ 2.0 platform, an interactive and advanced suite of digital visualization tools, at the 2014 IEEE PES Transmission & Distribution Conference & Exposition (April 14-17 in Chicago). At the event, GE turned its show floor into an innovative 3-D experience center, with 22 touchscreen kiosks showcasing solutions for the world's most challenging power system applications. 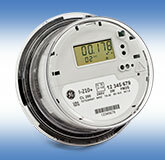 CHICAGO—April 24, 2014—GE’s Digital Energy business (NYSE: GE), in collaboration with Commonwealth Edison (ComEd) and UL, has announced that its residential smart meters have achieved UL voluntary safety certification, making them the first meters in the industry to receive this significant mark. CHICAGO—April 16, 2014—GE’s Digital Energy business (NYSE: GE) today announced it will provide series compensation capabilities to three of SP Power Systems Limited’s (Scottish Power) facilities in southern Scotland, helping the utility meet and mitigate today’s highly complex and technical grid challenges. GE’s series compensation technology is being showcased this week at the 2014 IEEE PES Transmission & Distribution Conference & Exposition in Chicago. CHICAGO—April 15, 2014—Helping customers meet their specific power distribution needs and build a more resilient grid, GE’s Digital Energy business (NYSE: GE) has upgraded its medium-power transformer offering with its new, PROLEC-GE Flexible Integrated Transformer (FIT). The transformer provides customers with an optimized, end-to-end solution complete with installation and aftermarket services. 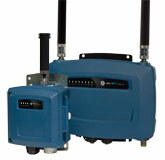 The PROLEC-GE FIT is being showcased at the 2014 IEEE/PES Transmission & Distribution Conference & Exposition taking place April 14-17 in Chicago. 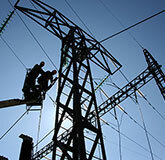 CHICAGO—April 15, 2014—Maintaining a reliable flow of power is a major part of any utility’s daily tasks. 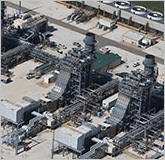 Helping to establish a more resilient and reliable grid, GE (NYSE: GE) recently announced that it has provided the government-owned utility of Libya with four mobile aeroderivative gas turbines, each of which is equipped with complete electrical balance of plant (EBoP) from the company’s Digital Energy business. The advanced solutions ensure the General Electricity Company of Libya (GECOL) has the efficient and dependable backup power it needs in case of an unplanned outage. CHICAGO—April 14, 2014—With the global population growing and reliance on technology continuing to expand at a rapid pace, world electricity demand is projected to increase by more than 2 percent per year over the next 20 years. Yet, aging and inefficient infrastructure is creating gaps between energy demands and supplies, with many electrical transmission and distribution networks facing challenges to deliver efficient, reliable flow of power where it’s needed most. 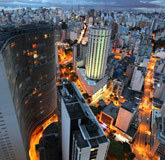 SAO PAULO, BRAZIL—April 10, 2014—Manufacturing growth in Brazil, coupled with fluctuating temperatures, have contributed to a surge of electricity consumption and demand. 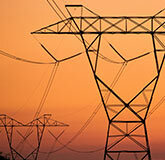 As a result, transmission line and maintenance issues are more frequent than ever before. 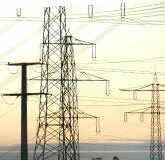 Responding to these growing challenges, GE’s Digital Energy business (NYSE: GE) is providing Furnas and Triangulo Mineiro Transmissora (TMT)/Geoenergia with the latest in protection and control equipment to ensure high-efficiency performance and quality for each of the utility’s grid modernization projects. MARKHAM, ONTARIO—April 2, 2014—GE (NYSE: GE) today announced that, with PowerStream Inc., a leading energy portfolio company, they have launched their first joint microgrid demonstration project, located at PowerStream’s headquarters in Vaughan, Ontario. The project will demonstrate how energy consumers and utilities may be able to generate and distribute their own energy using renewable energy resources to address the growing demand for safe, sustainable and reliable energy resources. ATLANTA—February 26, 2014—Continuing to demonstrate its solid reputation, experience and product leadership in series compensation, the Flexible AC Transmission System (FACTS) product line from GE’s Digital Energy business (NYSE: GE) was awarded several key customer orders in the second half of 2013. These wins reinforce GE’s industry leadership with advanced technology, outstanding technical performance and global project execution capabilities. ORLANDO, FLA.-February 11, 2014-GE’s Digital Energy business (NYSE: GE) today announced that it is collaborating with Meridium, a leading provider of asset management optimization software, to strengthen GE’s grid and asset management optimization offering. GE and Meridium will provide customers with an improved asset management optimization solution to help identify and address challenges in their networks before they become problems. SAN ANTONIO-January 29, 2014-Helping utilities turn meter data into actionable intelligence, GE’s Digital Energy business (NYSE: GE) has introduced its Grid IQ™ Insight - Advanced Meter Insight. 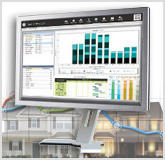 The solution aids utility operators in prioritizing, validating and making cost-effective business decisions by analyzing data from numerous systems, increasing the value of their meter data by driving new cost efficiencies. The grid analytics solution was announced today at DistribuTECH 2014, the utility industry’s leading annual transmission and distribution event. 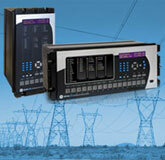 GE is displaying a variety of its grid management solutions on-site at DistribuTECH at booth #1949. SAN ANTONIO—January 28, 2014—With utilities looking for alternate ways to modernize their grids, many have turned to cloud-based technology like GE’s (NYSE: GE) Grid IQ™ Solutions as a Service (SaaS) platform, which provides all of the benefits of a modern grid at a fraction of what it would cost a utility to completely overhaul its existing infrastructure. Today, GE’s Digital Energy business announced it has made a minority investment in Power Generation Services, Inc. (PoGens™). PoGens is a turnkey provider of managed energy services for distributed generation and distributed energy resources in North America. Terms of the transaction were not disclosed. SAN ANTONIO—January 28, 2014—Controlling a utility’s electrical distribution network and managing the people who work on it is fundamental to operating a modern, reliable and resilient electric grid. 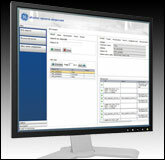 Helping utility operators manage the increased challenges facing their distribution systems, GE’s Digital Energy business (NYSE: GE) has announced the availability of its PowerOn™ Advantage advanced distribution management system (ADMS). 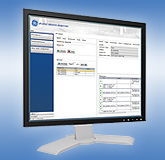 The new ADMS integrates grid management solutions such as outage management systems (OMS) and distribution management systems (DMS) into a single, yet modular, solution. MARKHAM, ONTARIO—January 28, 2014—With increased pressure to improve the reliability and stability of their operations, utilities and industrial companies must ensure that their communication infrastructure connects all of their equipment and field personnel to gather an accurate, real-time view of their operations and asset performance, regardless of location, terrain or environment. GE (NYSE: GE) today announced a new platform of industrial wireless routers for utilities, oil and gas companies and the transportation and mining industries to allow them to easily and cost-effectively expand their communication infrastructures using a range of technologies. MARKHAM, ONTARIO—January 27, 2014—Simplifying the way utility companies manage their transformer fleets, GE’s Digital Energy business (NYSE: GE) today announced the latest version of its Perception™ Fleet risk management software, version 1.14—a smart, simplified and standards-based data analysis package that provides utility operators with data on the condition of every transformer in their fleet. 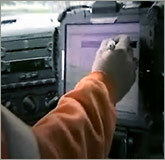 Perception Fleet facilitates the shift from costly time-based maintenance programs to a more cost-effective condition-based maintenance program, helping companies better understand the budget requirements to maintain and build a healthy fleet, focusing on capital expenditures and in turn reducing operating expenses. REDWOOD CITY, CALIF.—January 23, 2014—Trilliant, a global Smart Grid Communications leader, has announced that the company’s award-winning Smart Grid Communications Platform, has been chosen by GE (NYSE: GE) to be a part of its innovative Grid IQ™ Solutions as a Service (SaaS) offering provided to the City of Holly Springs, Miss. The project, which utilizes Trilliant’s SecureMesh Communication Technology and services, was announced just before the start of DistribuTECH, North America’s largest annual smart grid conference. SKIATOOK, OKLA.—January 16, 2014—Expanding on the company’s commitment to the state of Oklahoma and helping the city of Skiatook modernize its grid, GE’s Digital Energy business (NYSE: GE) and the city of Skiatook today announced plans to implement GE’s advanced Grid IQ™ Solutions as a Service (SaaS) grid-modernization technology. The SaaS offerings provide cities and utilities with the benefits of a modern grid without requiring the large staff or up-front capital typically needed to do so. MARKHAM, ONTARIO—December 16, 2013—GE’s Digital Energy business (NYSE: GE) today announced the launch of an enhanced version of its Multilin™ Intelligent Line Monitoring System, an end-to-end overhead line monitoring solution with advanced analytics that provides actionable intelligence to distribution utilities, improving the reliability and efficiency of power delivery to their customers. Using the system, utilities can reduce the duration of outages by accurately identifying fault locations allowing them to quickly dispatch repair crews. Improved dynamic line rating also helps them easily identify additional available line capacity to maximize their existing infrastructure investment. MARKHAM, ONONTARIO—December 4, 2013—GE (NYSE: GE) today announced the latest version of its Industrial Energy Management Solution—Power Management Control System version 7 (PMCS v7.0)—an integrated energy management system that helps industrial customers improve their energy efficiency dollars, which can go directly to their bottom line. By proactively monitoring energy assets and trends, customers can make system changes that will help to optimize energy use, reduce downtime and deliver higher productivity. MARKHAM, ONTARIO—December 2, 2013—In an increasingly global business environment, GE’s Digital Energy business (NYSE: GE) offers utilities a single platform of protection and control devices capable of meeting international specifications and protocols with its new Universal Relay (UR) firmware (FW) version 7.2. GE’s UR provides utilities worldwide with the technology they need to maximize the performance of their electrical systems’ protection and control elements. HOLLY SPRINGS, MISS.—November 14, 2013—Setting a national example of how communities can tackle 21st century utility challenges, the city of Holly Springs, Miss. 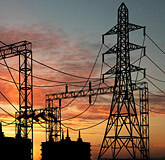 has contracted GE to provide its subscription-based Solutions as a Service (SaaS) to modernize its utility grid. The SaaS package provides a complete, multi-utility solution for municipalities looking to modernize their utility infrastructure. ATLANTA—October 17, 2013—GE (NYSE: GE) today launched its Smallworld Maximum Allowable Operating Pressure (MAOP) Calculator, enabling companies to calculate the MAOP for a line/loop of steel transmission pipelines for natural gas in a verifiable, traceable and complete method. 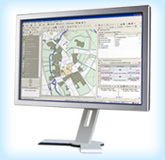 GE’s new MAOP calculator is one of the first industry solutions to seamlessly integrate the calculation of MAOP with a pipeline company’s current geospatial information systems (GIS), simplifying the data reporting process. 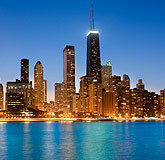 CHICAGO—October 9, 2013—Last year, GE (NYSE: GE) announced the launch of its portfolio of Industrial Internet solutions. Today at GE’s Minds + Machines 2013 conference—taking place in Chicago—GE Chairman and CEO Jeff Immelt discussed how business and technology leaders can implement these solutions to improve efficiency and ultimately create smarter, faster and more predictive solutions to improve productivity, efficiency and reliability. 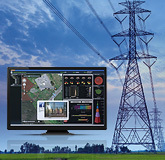 Launched in January, GE’s Grid IQ™ Insight—a Predictivity™ solution for the electric utility industry—was one of the first solutions rolled out as a part of the company’s ever-increasing portfolio of Industrial Internet solutions. 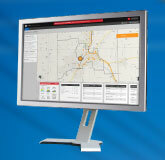 This advanced analytic solution helps utilities turn mounds of data into actionable information. AMSTERDAM—October 16, 2013—GE’s Digital Energy business (NYSE: GE) today announced it has achieved Oracle Exadata Optimized status through Oracle PartnerNetwork (OPN), demonstrating that its Smart Metering Operations Suite (SMOS) version 4.0.1 has been tested and tuned on Oracle Exadata Database Machine to deliver speed, scalability and reliability to customers. Oracle Exadata provides a database of massive flash memory to store crucial metering information for smart metering operations. 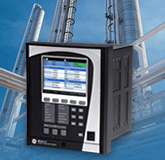 Together with this hardware, GE’s SMOS provides a complete meter and transaction management system capable of housing and analyzing raw usage data. GE is a Gold level member of OPN. MARKHAM, ONTARIO—September 23, 2013—GE (NYSE: GE) today announced the availability of the first product in its new Multilin™ 8 Series platform, GE’s next-generation protection and control relay platform designed to deliver the performance and reliability required to support the mission-critical electrical infrastructures of industrial and distribution utilities. Built on GE’s more than 100-year history in industrial electrical automation, the 8 Series platform will enable industrial and distribution utilities to enhance the reliability of their electrical infrastructure and reduce costs associated with unplanned outages. 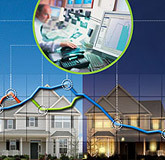 SAN RAMON, CALIF.—September 4, 2013—Bringing industry-leading utilities together, GE (NYSE: GE) launched its Grid IQ™ Insight Innovative Utility Program (IUP) to focus on combining ideas and sharing expertise in big data, visualization and advanced analytics specific to distribution, transmission, customer service and consumer-related operations. The GE-led IUP brings industry experts together—most recently at GE’s Software Center of Excellence—to share best practices, use cases, relevant governance, data challenges and regulatory impacts to show how the analysis of big data can bring significant value. ATLANTA—Aug. 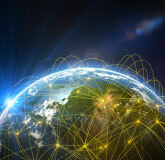 27, 2013—GE (NYSE: GE) and XD Electric Group (SHA: 601179) today announced the official formation of a new global partnership combining GE’s world-class grid automation capabilities and global energy presence with XD Electric’s comprehensive portfolio of high-voltage power equipment. GE now owns 15 percent of XD Electric and holds one board seat. Another component of the partnership includes the formation of a joint venture (JV) with XD to offer customers in China GE’s localized grid automation equipment and services. MARKHAM, ONTARIO—August 12, 2013—GE (NYSE: GE) recently won three prestigious audiovisual (AV) awards for its advanced technology at the company's Grid IQ™ Global Innovation Center in Markham, Ontario. At the centerpiece of the center is a 60-foot-wide, seven-foot-high, 180-degree curved laser phosphor display videowall, designed by Prysm Inc., which allows customers to take an interactive, immersive look at GE's full suite of grid modernization offerings. This Customer Experience Center is another example of how GE is helping its customers do their part to modernize the grid. ATLANTA-July 26, 2013-Solidifying itself as best in class in the electrical distribution industry, GE’s Digital Energy Solutions as a Service business (NYSE: GE) received the award of Best Smart Grid Solution at the Municipal Smart Grid Summit (MSGS) for its innovative Grid IQ™ Connect services offering. 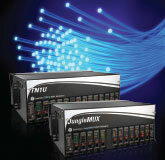 The summit took place last month at PGA National in West Palm Beach, Fla.
MARKHAM, ONTARIO—July 16, 2013-Today announced the availability of its GE Multilin™ D20MX substation controller designed to help utilities more efficiently and reliably manage their electrical substations. 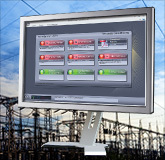 By collecting, aggregating and processing data from the many intelligent devices in a substation, the D20MX consolidates that data and communicates it to a central location, effectively helping a utility get visibility to what's happening in its entire network of substations. CHICAGO---July 9, 2013---GE (NYSE: GE) has been selected by ComEd, a unit of Chicago-based Exelon Corporation (NYSE: EXC) and the electric utility serving Northern Illinois, to deliver approximately 4 million smart meters from 2013 to 2021 in a deal worth more than $200 million (U.S.). The smart meters will allow ComEd's customers to better manage their energy usage and help ComEd more quickly detect and restore power outages. MARKHAM, ON—June 26, 2013—A utility’s power grid is under stress with the pull and push of some customers using more energy, and others supplying it back into the grid with distributed and sometimes green technologies. GE (NYSE: GE) today announced the availability of its Multilin™ DGCM Field Remote Terminal Unit (RTU), a cost effective and compact distribution grid monitoring solution that tracks and automates distribution assets to make a utility’s power grid more reliable and efficient. ATLANTA—June 12, 2013—Last year’s Superstorm Sandy and India’s heat waves caused widespread power outages that highlighted the gap between energy demand and energy supply and also revealed the reliability challenges utilities experience when the grid is under extreme stress. Prolonged outages caused by severe weather are a clear reminder of the important role electricity plays in sustaining life and enabling commerce in today’s fast-paced, technology-driven environment. BRIGHTON, ENGLAND—May 14, 2013—Expanding on its network solutions to help telecommunications providers build out their infrastructure and satisfy their customer’s growing demand for telecommunications services, GE (NYSE: GE) has announced its Smallworld™ Network Inventory 4.3 software solution. 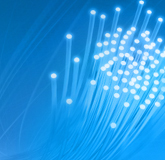 The software update enables telecom providers with an array of advanced network management solutions, including increased support for designing, building and managing fiber networks. This announcement was made at the 2013 International Software Summit hosted by GE’s Digital Energy business, which runs from May 13-16. 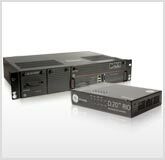 MARKHAM, ONTARIO—May 2, 2013—GE (NYSE: GE) today announced the availability of the latest firmware upgrade for its UR (Universal Relay) and URPlus platforms, designed to eliminate failover time when a network failure occurs by delivering zero latency. By introducing Parallel Redundancy Protocol (PRP), this firmware release gives customers the power to make two local area networks (LANs) active to ensure that if one fails, the other immediately takes over ensuring no lost data, no network failover time and no loss of mission-critical services. ROCHESTER, N.Y.—April 10, 2013—GE (NYSE: GE) announces the release of its latest Industrial Internet solution, the MDS™ Orbit MCR-4G, designed to help owners of private communication networks, such as utilities, oil and gas companies and energy-intensive industries leverage public cellular networks to securely communicate with field crews and industrial equipment and reduce the cost and time associated with maintaining their infrastructure. MARKHAM, ON—March 11, 2013—GE (NYSE: GE) today announced the availability of its CyberSentry™ SEM Security Event Manager, a cybersecurity management and monitoring system specifically designed to help guard substation power system assets from issues or outages occurring as a result of malicious attacks or human error. 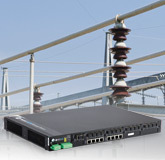 MARKHAM, ONTARIO—March 5, 2013—GE (NYSE: GE) announces the release of its latest MultiLink™ Ethernet switch, the ML3000, for use in industrial and energy applications. 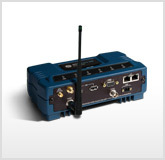 As more electronic devices become capable of communication, the need to remotely control and monitor these devices increases, and Ethernet communication offers improved reliability, faster data transfer and more security. ATLANTA - February 12, 2013 - A new agreement announced today between GE (NYSE: GE) and Google (NASDAQ: GOOG) will integrate Google Maps data into GE's Smallworld™ electrical, telecommunications and gas applications. 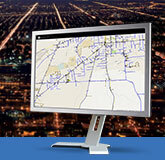 GE, a leading provider of geospatial analytical tools and insight, and Google, a provider of map services with more than 1 billion monthly active users, will help utilities increase productivity based on the ability to visualize and analyze their data with GE's Smallworld product suite. The combined solution will enhance the existing network visualization capabilities and will allow utility customers to receive incremental efficiency and productivity of operations in the field. By enhancing the ability to visualize data on a map, utility customers will be able to quickly provide their end-use customers with important information such as outage restoration times and will help to more efficiently manage their network assets. 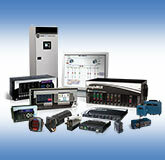 MARKHAM, ONTARIO—February 11, 2013—GE (NYSE: GE) announced today the availability of its Multilin™ C90Plus Automation Control System designed to help industrial customers quickly and intelligently manage power in their plants when facing power outages. By integrating the C90Plus into their existing power management system, customers can easily identify equipment and processes that are critical to their business to ensure that when the lights go out, power continues to flow to these critical resources. 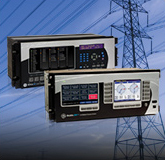 By ensuring the availability of critical systems and maintaining power integrity using high-speed load shedding, customers can reduce costs associated with downtime and lost production. MARKHAM, ONTARIO—February 5, 2013—GE (NYSE: GE) announces the release of its Multilin A60 Arc Flash System, a device that uses GE's patented light and pressure wave detection technology to quickly and reliably detect and initiate a trip signal, in the event of an arc flash condition. By initiating the trip signal, the Multilin A60 helps minimize equipment damage and reduce the costs associated with unplanned downtime and lost production. SAN DIEGO—January 31, 2013—Expanding on its growing line of grid modernization solutions to help global utilities solve real-world challenges, GE's (NYSE: GE) Digital Energy business has introduced its Grid IQ™ advanced metering infrastructure (AMI) Point-to-Multipoint (P2MP) solution, which provides secure, scalable, high-capacity and long-range wireless coverage of a utility's complete service territory and assets—rural, urban, suburban and underground. 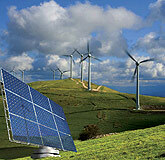 SAN DIEGO—January 30, 2013—Southern California Edison (SCE), electric service provider for Southern, Central and Coastal California, has called on GE (NYSE: GE) to provide a centralized remedial action scheme (CRAS) solution to facilitate the operation of multiple remedial action schemes. 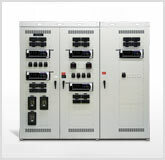 Operating in conjunction with the previously installed XA/21 energy management system from GE, the CRAS will detect abnormal conditions on the power grid and automatically select and initiate the appropriate high-speed control action in order to preserve grid stability and protect key elements of SCE's transmission network. SAN DIEGO—January 30, 2013—GE (NYSE: GE) Grid Automation and Systems Control, a GE customer, announced that they have signed a letter of intent to form a strategic relationship designed to provide utility and industrial customers in North America with a complete, modular packaged solution that can be "dropped in" to new or existing distribution electrical grid infrastructures. 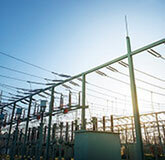 By purchasing this "dropped in" solution, customers no longer need to work with multiple vendors to build, engineer and integrate a new substation and control package—helping them to better control costs and make implementation easier. 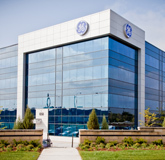 MARKHAM, ONTARIO—December 19, 2012—GE (NYSE: GE) announced the launch of its Packaged Solutions, providing a fully integrated, quickly deployable, modular set of solutions and services to improve the protection, control and automation of power system applications. 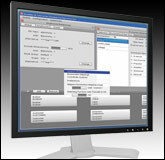 Packaging solutions together provides utilities and industrial companies with the assortment of services needed to ensure a quicker, more efficient design of their protection and automation systems. 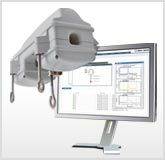 MARKHAM, ONTARIO — Dec. 17, 2012 — GE (NYSE: GE) today announced the availability of its latest version of the Universal Relay (UR) platform designed to help customers meet the emerging requirements for improved security, connectivity and interoperability. Customers with an existing install base of UR relays can take advantage of these new enhancements through GE's upgrade program without the need to incur major capital costs. ATLANTA — Nov. 29, 2012 — Highlighting the utility industry's growing use of Internet-based data management tools to develop modern grid networks, GE (NYSE: GE) Chairman and CEO Jeff Immelt today cited GE's Grid IQ™ "Solutions as a Service" (SaaS) offering as one of nine industrial service technologies that are creating more modern, interconnected businesses in a 21st century economy, during an event held in San Francisco. 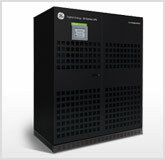 LONDON—November 15, 2012—GE (NYSE: GE) today announced its new TLE Series Uninterruptible Power Supply (UPS) with three-level converter technology. 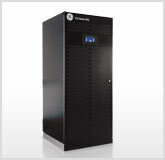 The TLE Series UPS provides mission-critical facilities such as data centers, hospitals and financial institutions with efficient, reliable, uninterruptible power in a compact size achieving up to 96.5 percent efficiency. MARKHAM, ONTARIO—OCTOBER 2, 2012—GE (NYSE: GE) today announced the opening of its newly constructed Grid IQ™ Global Innovation Centre in Markham, Ontario. The state-of-the-art, 200,000-square-foot facility is designed to foster innovation and global collaboration to improve the efficiency, reliability and security of the world's electrical grids. The $40 million project is supported by a grant of $7.9 million from the Government of Ontario. 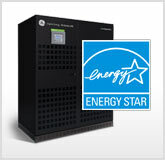 ATLANTA—September 27, 2012—GE's (NYSE: GE) ecomagination™-qualified SG Series Uninterruptable Power Supply (UPS) with eBoost™ technology today received the Environmental Protection Agency's (EPA) ENERGY STAR™ certification. The certification includes the SG Series 300-750 kVA modules and is the first three-phase UPS in the industry to receive this recognition. 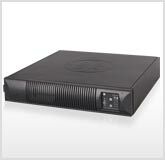 The SG Series UPS provides reliable back-up power to mission critical facilities like data centers, hospitals and financial institutions. ATLANTA—September 27, 2012—Strengthening its reach in the United States, GE's Digital Energy business (NYSE: GE) today announced that it has entered into a national distributor agreement with MaxPower Corporation of Denver, Colo. 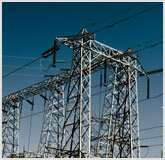 Under the terms of the agreement, MaxPower will stock and resell GE's critical power products to U.S. customers. MaxPower actively sells to approximately 1,200 resellers for both Power and IT infrastructure, which in turn sell to an end-user customer base. ATLANTA, GA—September, 20 2012—As the demand for efficient and reliable power continues to grow, so does the need for alternative energy sources and the necessity to transmit energy from rural power generation facilities to high-consumption metropolitan regions. Helping to meet this demand, GE (NYSE: GE) will work with Electric Transmission Texas, LLC (ETT) on the largest series compensation project in the United States. ETT, a joint venture between subsidiaries of American Electric Power (NYSE:AEP) and MidAmerican Energy Holdings Company (MidAmerican), is a regulated transmission-only utility which builds, owns and operates transmission assets as a regulated utility in Texas. 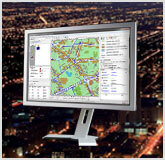 SAN DIEGO—September 19, 2012—GE (NYSE: GE) announced the official release of Smallworld™ Office Suite 4.3, the latest version of its industry-leading, utility-specific geospatial application for managing complex network infrastructures. 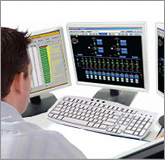 The updated software features innovations specifically designed to reduce cost, improve decision-making and demonstrate bottom-line benefits for global utility customers managing today's expanding and evolving infrastructure. SAN DIEGO—September 18, 2012—A current challenge utilities face—reducing the rise in peak demand along with its high costs—just became easier. Utilities will welcome GE's (NYSE: GE) new PowerOn™ Precision demand optimization technology to help ensure a more energy-efficient, reliable grid with economic benefits to both energy providers and consumers. MARKHAM, ONTARIO—September 6, 2012—GE Energy Management (NYSE: GE) announces the release of its Multilin™ Intelligent Line Monitoring System, an end-to-end overhead line monitoring solution with advanced analytics that provide actionable intelligence to distribution utilities for improving the reliability and efficiency of their networks. GE's innovative solution enables utilities to maximize network throughput, reduce outage duration through accurate determination of fault location and optimize maintenance activities on assets when needed. 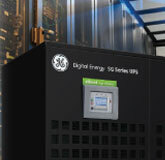 Atlanta—August 27, 2012—GE's (NYSE: GE) Digital Energy business today announced the launch of its new VH Series Uninterruptible Power Supply (UPS) system, engineered to provide high reliability power protection in a small, modern design. 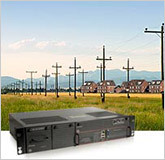 The VH Series Single Phase UPS is a true voltage and frequency independent (VFI), double conversion technology that can provide secure power for all business-critical applications. 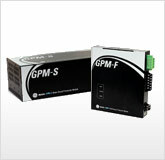 MARKHAM, ONTARIO— July 17, 2012—GE (NYSE: GE) today announces the release of the Multilin™ EPM 6010, a high accuracy, revenue-class power meter that can communicate using both the BACnet/IP and Modbus TCP protocols. 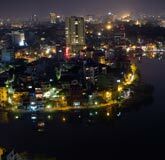 HANOI, VIETNAM—July 10, 2012—General Electric (NYSE: GE) signed today an equipment supply contract worth USD16.5 million with the Power Transmission Company No. 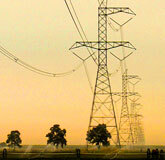 4 (PTC4), a subsidiary of the National Power Transmission Corporation (NPT), to double Vietnam's existing power capacity through upgrading of the country's national backbone transmission system. 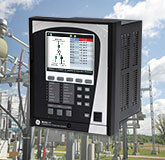 MARKHAM, ONTARIO—May 24, 2012—GE Energy (NYSE: GE) announces the release of its Multilin D400 Advanced Substation Gateway with Distributed I/O Controller for the consolidation and optimization of substation monitoring, control and communications. ATLANTA, GA.—May 7, 2012—GE (NYSE: GE) and XD Electric Group (SHA: 601179) announced today the formation of a new partnership to deliver a full-line of electric transmission and distribution (T&D) and grid automation solutions to customers around the world. The partnership creates a new global competitor to provide customers with proven technology offerings to build and upgrade their electrical infrastructure to meet the high demand for reliable electricity. 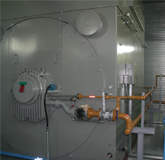 ATLANTA—April 16, 2012—As energy-demanding datacenters become more prevalent and widely utilized around the globe, finding innovative ways to increase efficiency in existing power supply technologies becomes a necessity. GE Energy's (NYSE: GE) newly ecomagination™-qualified eBoost™ software provides datacenters and IT organizations a way to reduce energy consumption and cost without sacrificing reliability. 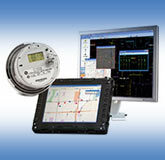 MARKHAM, ONTARIO— March 30, 2012—GE (NYSE: GE) announces the release of the Multilin™ EPM 9900, a high-speed, high-accuracy power quality metering solution for monitoring critical power applications for utilities, large industrial users and local electric companies. 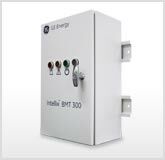 The EPM 9900 provides a total picture of energy usage and power quality at any metered point in the power distribution and industrial network. LISBURN, IRELAND—March 26, 2012— Today, GE (NYSE: GE) introduced the Intellix™ BMT 300, a bushing monitoring system for transformers that can detect and diagnose problems before they occur, helping improve power reliability at utilities, industrial metals businesses, and petrochemical companies. 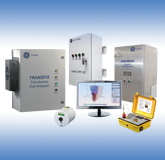 It is available stand-alone or as a comprehensive solution integrated with GE's Kelman TRANSFIX™ DGA analyzer and PERCEPTION software for an in-depth view of transformer health. 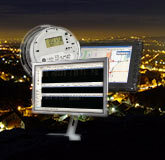 BILBAO, SPAIN—March 22, 2012—GE (NYSE: GE) announced today the availability of the SGM1100, a PRIME (Power Line Intelligent Metering Evolution) PLC compliant smart meter designed for global utilities following IEC (International Electrotechnical Commission) requirements. 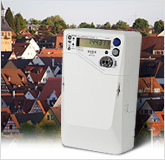 The SGM1100 provides utilities with a cost-effective and flexible solution to meet the requirements of an advanced metering infrastructure (AMI), laying the foundation for increasing efficiency and better managing energy costs. Markham, Ontario —February 27, 2012 - GE (NYSE: GE) announced the release of its End-to-End Fault Detection, Isolation & Restoration (FDIR/FLISR) system, a complete distribution automation solution that enables utilities to significantly improve the reliability of their distribution network. 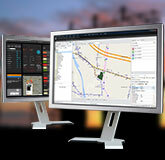 ROCHESTER, N.Y.—February 27, 2012—GE (NYSE: GE) announced today the availability of its Grid IQ™ Network Communications Platform, an end-to-end, industrial-grade networking communications platform that supports AMI, SCADA and other mission critical grid automation communication applications. 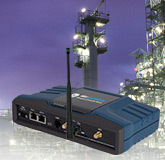 Designed for ruggedized environments, the Network Communications Platform meets customers' expanding needs for a single network that can support multiple grid applications. The platform also supports utilities' critical needs to simplify operations, lower overall operating and capital expenses as well as providing the capability to leverage legacy networks and end devices. MARKHAM, ONTARIO—February 8, 2012 GE (NYSE: GE) announced today the availability of the Multilin™ B95Plus Bus Protection for protection of large power system buses. 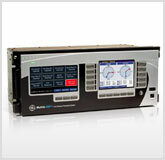 The B95Plus system is the first large bus protection relay to use the Multilin HardFiber Brick IEC 61850 process bus merging unit in a distributed bus protection architecture. 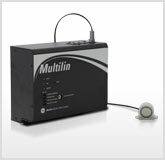 MARKHAM, ONTARIO—February 8, 2012—GE (NYSE:GE) today announced the release of three new innovative Multilin technologies that provide advanced metrology and communications for submeters and Ethernet switches. 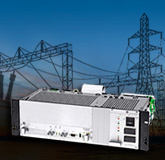 The new EPM 6100 and EPM 7100 energy submeters and the ML810 managed compact Ethernet switch are the latest Multilin technologies from GE Energy - Digital Energy's Grid Automation business. ROCHESTER, NY- January 24, 2012 - GE (NYSE: GE) announced today the new MDS Mercury™ 5800, an industrial-grade wireless network communications platform for mission critical applications. 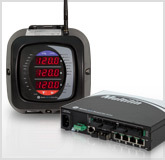 Designed for ruggedized environments, the MDS Mercury 5800 meets customers' expanding needs for data intensive applications by providing higher throughput for increased network reliability, quality of service for data prioritization, enhanced security features, and extended range to reduce network infrastructure costs. ATLANTA, GA- January 18, 2012 - GE (NYSE: GE) announced today the availability of its new SGM3000™, a family of IEC smart energy meters designed specifically for utilities facing growing energy demands. GE's new IEC smart meter will lay the foundation to help Australia and the Middle East overcome 21st century energy challenges, building a more efficient, sustainable and reliable electric grid. 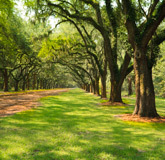 LEESBURG, FL.- December 19, 2011 - The city of Leesburg is modernizing the city's electric grid with a new set of advanced technologies designed to power 21st-century economic growth, increase energy efficiency, improve power reliability and empower its consumers. 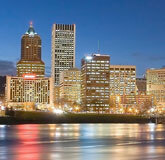 GE's new Grid IQ™: Solutions as a Service offering, an integrated grid modernization solution specifically designed for small to mid-sized utilities, that will enable the City to expand its current capabilities to deliver an array of energy services to better meet residents' energy needs. NORCROSS, GA.—November 9, 2011—The city of Norcross, Electric Cities of Georgia (ECG) and GE Energy (NYSE: GE) today announced they are working together to deploy advanced technologies to modernize the city's electric grid to power 21st-century economic growth. As a part of GE's Grid IQ™: Solutions as a Service offering, these technologies will enable the city to expand its current capabilities to deliver an array of energy services to more efficiently meet residents' growing energy needs. 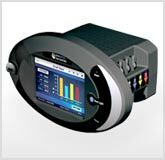 MARKHAM, Ontario — November 7 2011 — GE Energy (NYSE: GE) today announced the release of its new revenue class power quality meter, the Multilin EPM 7000. 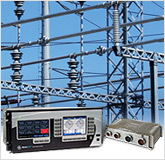 With high accuracy disturbance recording capabilities and large memory capacity, the EPM 7000 is ideal for monitoring industrial power and motor control centers, as well as power distribution networks in critical infrastructures such as data centers. CHICAGO, ILL.—October 24, 2011—GE (NYSE: GE) today announced that it is supporting ComEd's plans to modernize the electric grid and build the infrastructure to power 21st-century economic growth. 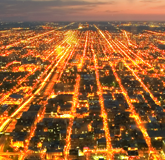 As a world leader in grid-modernization technology, GE believes ComEd's efforts are vital to delivering efficient, reliable power to meet the area's growing energy needs. ATLANTA, GA. — Aug 25, 2011 — GE Energy today announced the release of GE's Smallworld*Water Office software solution, a suite of data models, applications, and integration products designed to help water supply & drainage utilities meet their current and future spatial asset management needs. Smallworld Water Office's network model provides structure to meet customer demand for a full water supply production, transmission and distribution company. MARKHAM, ON — July 28, 2011 — GE Energy today announced the release of its new platform of Multilin Distribution Automation (DA) Controllers; Voltage Regulator Controller, Capacitor Bank Controller and Field RTU, key building blocks of GE's (NYSE: GE) advanced distribution automation solutions. Atlanta, GA — July 26, 2011 — GE's Mike Carlson introduced a plan for a new smart grid solution in an address at the Municipal Smart Grid Summit in Florida today. Increased productivity, reduced operational expenses and minimal integration risks were touted as key benefits of a solution tailored specifically for small to mid-market utilities. 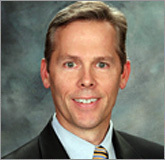 Carlson outlined the dramatic changes facing municipal utilities, the resulting challenges that must be overcome to thrive in the 21st century and GE's planning of a "wing-to-wing" solution for meeting those challenges. 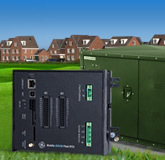 Cambridge, United Kingdom.—July 21, 2011 — GE (NYSE: GE) announced today that it has finalized the acquisition of Ireland-based FMC-Tech, a leading provider of smart grid technology equipment providing real-time power line monitoring capabilities. 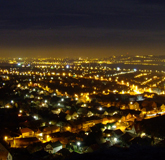 The acquisition, first announced in May, marks another milestone in both GE's dedication to smart grid excellence and its commitment to smart grid development in the United Kingdom and Ireland. IRELAND—June 23, 2011—GE Energy is using its expertise and passion for grid modernization to promote the development of a smart grid pilot network in Northern Ireland. The pilot would allow for a greater number of renewable energy sources such as wind, wave and solar energy to be connected to the existing electrical network—reducing carbon emissions and ensuring energy security and reliability. SÃO PAULO—June 14, 2011—GE, Trilliant and AES Eletropaulo are collaborating in a smart grid research and development project—bringing the benefits of smart meters to the city of Sao Paulo and setting the stage for a more reliable and efficient energy infrastructure in Brazil. 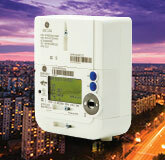 The first-of-its-kind project for the utility connects GE smart meters' advanced technology through Trilliant's wireless communication network to AES Eletropaulo's meter data management center—improving system monitoring, identifying problems before they occur and reducing the duration of interruptions in energy supply. 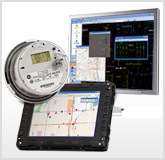 Rochester, N.Y.—June 13, 2011—GE Energy announced today the release of MDS WiYZ, an industrial, field hardened, wireless data acquisition product for remote sensors, transducers and I/O. With WiYZ battery powered remotes, MDS WiYZ allows users to reliably automate data collection from remote locations even when they lack power. 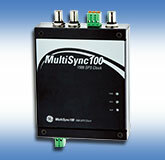 MDS WiYZ implements the ISA100.11a standard combined with serial and IP/Ethernet communication featuring cellular, WiFi and MDS backhaul options. 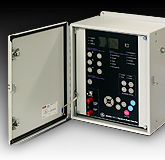 All WiYZ devices are NEMA 4X, IP65 rated for field installation without any additional enclosure, accessory or integration costs making them exceptionally cost-effective for remote monitoring requirements. Markham, On.—June 2, 2011—GE Energy today announced the new Multilin Stator Ground Protection module and the Field Ground Protection module that provide a complete generator monitoring, protection and control solution when used in conjunction with the industry leading Multilin G60 generator protection relay. The advanced stator and field ground protection modules provide easy system configuration, minimizes life-cycle costs and increases system uptime. 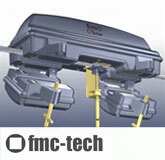 ATLANTA, GA.—May 24, 2011—GE announced today that it intends to acquire Ireland-based FMC-Tech, a leading provider of real-time power line monitoring to accelerate the commercialization of power grid technology. 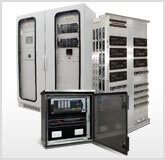 FMC-Tech is one of the dozen investments resulting from GE's 2010 ecomagination Challenge: Powering the Grid. 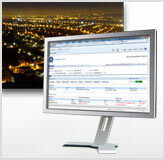 CAMBRIDGE, UK—April 28, 2011—GE announces the Smallworld Physical Resource Assignment solution—GE's next step to strengthening the value of Smallworld solutions for customers operating in the new telecommunications industry landscape. An integral part of GE's Smallworld Network Inventory portfolio, the Smallworld Physical Resource Assignment solution takes a customer service request and assigns the required physical resources needed to support that request. 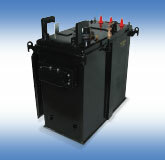 ATLANTA, GA—March 29, 2011—GE announced today the Intellix™ GLA 100, a cost-effective transformer warning solution using Dissolved Gas-in-oil Analysis (DGA), specifically tailored for monitoring less critical transformers. 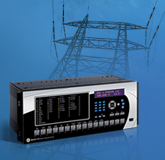 With the Intellix GLA 100, utilities, operators and industrial users can now cost-effectively extend their transformer monitoring strategy to include a broader range of transformer assets—further decreasing the chance of unplanned outages and improving network reliability. MARKHAM, ONTARIO—March 9, 2011—Today GE and the Government of Ontario announced a new $40 million Grid IQ™Innovation Center, the first center of its kind for GE in Canada, to be located in Markham, Ontario. Grid IQ is GE's company wide commitment to solving customers' toughest challenges with more efficient, reliable and sustainable energy solutions. The 200,000 square foot center will develop and manufacture grid modernization technologies and will encompass a global testing and simulation laboratory. The building is expected to open in July 2012. CAMBRIDGE, UNITED KINGDOM—January 25, 2011—GE announced today it has published the "ROI Handbook for geospatial network infrastructure management solutions: A structured approach to quantifying and delivering business value." 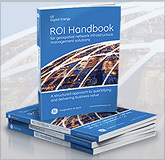 The ROI handbook is designed to help network operators make fact-based decisions about investments in network infrastructure management solutions, gain buy-in by making the right level and pace of investment and support their business objectives based on a quantifiable return-on-investment (ROI). 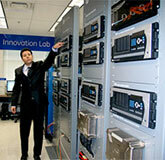 ATLANTA, GA.—February 2, 2011—GE today announced the release of the Smallworld* Enterprise Gateway solution. 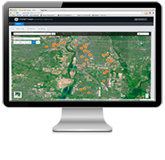 This new software product enables users of GE's geospatial solutions to directly use Smallworld data for applications operating on Oracle® Spatial technology. 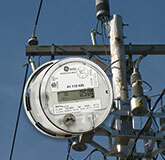 ATLANTA, GA.—February 1, 2011 — GE and Fuji Electric Holdings Co., Ltd. today announced a joint venture to design, build, market and service a new generation of electric meters, supporting Japan's advancement to a smart grid infrastructure. 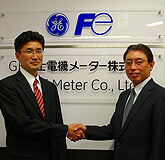 The newly formed joint venture, GE Fuji Meter Co. Ltd, builds upon GE's proven smart meter technology and Fuji Electric's leading Japan-based manufacturing and sales network to provide quality, cost-effective meters to the country. 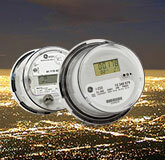 Smart meters provide utilities and consumers with information to help them better monitor, understand and control energy usage. ATLANTA, GA.—November 8, 2010—The evolution of a smarter power grid in the United States and the resulting impact it could have on the economy and environment were highlighted in a keynote address by GE's Bob Gilligan at the Advanced Energy 2010 Conference today. Gilligan explained how even conservative adoptions of technology solutions could enable Americans to sustain and improve their energy-dependent lifestyles. 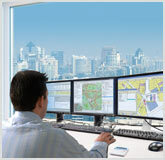 ATLANTA, GA.—October 29, 2010—GE has launched its Grid IQ™ Demand Optimization System, a new solution relying on GE's advanced demand response management system software to deliver comprehensive demand-side management support. This holistic solution helps utilities and consumers increase efficiency, lower their carbon-footprint and even reduce operations and energy costs. 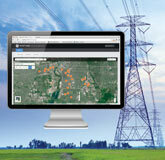 Grid IQ is GE's company wide commitment to modernizing the world's electrical infrastructure. ATLANTA, GA.—October 28, 2010—Luke Clemente, general manager, metering and sensing systems—digital energy for GE Energy Services, issued this statement today on how smart grid technologies assist in storm situations. "Managing the inconvenience and danger of power outages caused by storms like the ones we're experiencing this week is a great challenge for the utility industry," said Luke. "As Mother Nature turns out the lights across the country, we are reminded of the broader impact that a smarter grid can have on consumer." ATLANTA, GA.—Sept. 9, 2010—The Hydrogen Assisted Renewable Power (HARP) project in Bella Coola, British Columbia is now officially installed and operational. This state-of-the-art energy storage project securely powers the remote community of Bella Coola with less environmental impact. The HARP system is expected to reduce Bella Coola's annual diesel consumption by 200,000 litres – lowering greenhouse gas emissions by 600 tons annually. 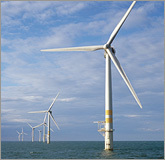 Sept. 8, 2010—Many utilities unveiled their smart grid plans, and even broke ground over the past year, and we've started to see headlines move beyond smart meters to encompass more game-changing smart grid efforts such as renewables integration, grid automation, system optimization and electric vehicle preparation. In addition, we've become smarter about how to increase energy efficiencies and utilize cleaner energy sources more effectively thanks to new R&D efforts and market trials. ATLANTA, GA.—August 2, 2010—GE made a major step forward with its worldwide commitment to improve the ways we make, move and consume electricity with the acquisition of SNC-Lavalin's Energy Control Systems (ECS) business and its network management and control software. 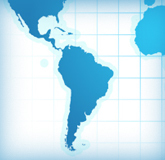 ECS software is already improving the reliability, efficiency and carbon profile for 300 million people on six continents. ATLANTA, GA.—July 21, 2010—60,000 consumers in south-central Pennsylvania won't notice any immediate changes—because nobody notices when the lights stay on—but their electric service is about to become more efficient, reliable and consumer-friendly as PPL Electric Utilities launches a smart grid project that includes GE's world-class distribution management system. 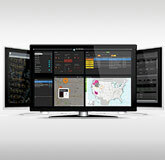 GE's network management software gives PPL Electric Utilities new ways to "see" and control the status, performance and interaction of equipment throughout its grid. 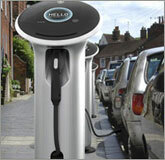 SAN FRANCISCO, CA, - July 13, 2010 – GE today introduced the GE WattStation, an easy-to-use electric vehicle (EV) charger. Designed to help accelerate the adoption of plug-in electric vehicles, GE WattStation significantly decreases time needed for vehicle charging and, using smart grid technology, allows utility companies to manage the impact of electric vehicles on the local and regional grids. SAN FRANCISCO, CA, - July 13,2010 - CEO Jeff Immelt announced GE's Ecomagination Challenge: Powering the Grid, a $200 million open innovation challenge to find and fund the best ideas for bringing our power grid into the 21st century. Co-funded by four venture capital firms, the challenge aims to leverage GE's scale, technical expertise and client relationships to bring new ideas to market quickly. WIRED magazine's Chris Anderson also weighed in on the importance of this challenge calling it "the biggest of its kind". ATLANTA, GA. - June 22, 2010 - In a national survey commissioned by GE, 79 percent of Americans said they would adjust their energy consumption habits and behaviors in the short term to effect change long term, quite possibly because most of them (72 percent) believe that how they generate and use energy today could actually harm the economic growth of the country. Sixty-three percent noted they would work with their power company to influence change in consumption habits. Dublin, Ireland - May 10, 2010 - Today's smart grid technologies can help Ireland's ambitious plans to increase renewable energy. This is the message Bob Gilligan, vice president - digital energy for GE Energy Services, will deliver today to delegates at the Inter-Government conference, "Marine Energy and Smart Grid Technology." Atlanta, GA - April 22, 2010 -The leading worldwide resource for clean, reliable, efficient energy delivery will be headquartered in Atlanta, Ga., with the opening of GE's Digital Energy business' new Smart Grid Technology Center of Excellence (COE), the company announced today. 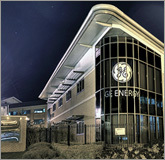 The Smart Grid Technology Center of Excellence (COE) is another demonstration of GE's commitment to discovering and deploying clean, sustainable and economically viable energy solutions to satisfy ever-increasing worldwide energy demand. 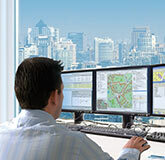 Atlanta, GA - April 22, 2010 - The GE Field Force Automation (FFA) toolset that utilities rely on for optimizing field worker activities has earned GE's ecomagination™ status for the significant environmental benefits the solution delivers, GE announced today. Yangzhou, China - April 19, 2010 - GE is working with the city of Yangzhou, China, to become a worldwide destination for energy efficiency, reliability and sustainability by supporting the grand opening of Yangzhou's state-of-the-art Smart Grid Demonstration Center. With worldwide adoption of smart grid technologies growing as a way to ensure adequate clean, affordable energy, solutions showcased at the center will serve as a model of smart grid success for utilities across China. 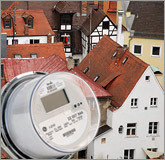 Erding, Germany - March 29, 2010 - The 33,000 citizens of Erding, Germany will benefit from the environmental advantages of GE smart grid technologies in a major step toward managing energy and water consumption. 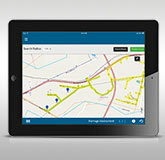 Stadtwerke Erding, the city's public works department, is implementing a ground-breaking pilot installation that will consolidate and report data to homeowners on energy and utility usage, including electricity, gas, water and heating. 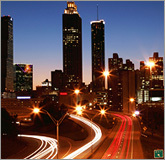 Atlanta, GA - March 23, 2010 - Even though many U.S. consumers are in the dark when it comes to knowledge about smart grid innovations, those who are enlightened about the technology's capabilities are ready to upgrade — especially when their lights are out. 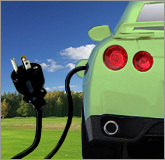 Columbus, OH - February 17, 2010 - GE and Juice Technologies announced a joint development agreement to create intelligent plug-in electric vehicle (PEV) charging devices for U.S. and global markets. 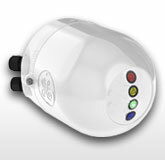 The chargers integrate GE’s smart meters with Juice Technology's Plug Smart™ engine to help consumers charge their cars during low-demand, lower cost time periods. 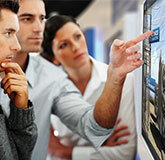 London, UK - February 8, 2010 - Technology available today can be employed to create viable, sustainable, smart cities. That will be the message that Bob Gilligan, vice president — transmission and distribution for GE Energy Services, will deliver to delegates at the Chatham House conference, "The Future of Cities." 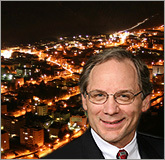 Atlanta, GA.- January 22, 2010 - John D. McDonald, general manager of marketing for GE's transmission and distribution business has been selected to head the Commerce Department's National Institute of Standards and Technology's Smart Grid Interoperability Panel Governing Board (SGIPGB). The unanimous choice of governing board members, McDonald will leverage his decades of grid automation experience to help organize the group's agenda and activities. He also will serve as the board's chief spokesperson. Yangzhou, China - January 8, 2010 - The City of Yangzhou and GE will be working together to help bring the benefits of smart grid technologies to China. GE is building an extensive smart grid demonstration center in the Yangzhou New Economy and Development Zone that will verify how GE technologies deployed throughout the world can help China improve the reliability, efficiency and carbon footprint of its energy delivery. 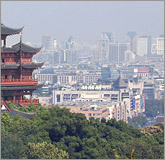 Yangzhou is located on the Yangtze River in China's Jiangsu province. Atlanta, GA - January 8, 2010 - GE is introducing an in-home, multi-function energy information panel that will give consumers insight and control to help them manage energy usage and understand costs. The sleek, touch-screen panel will wirelessly connect to a household's smart meter, appliances and thermostats, via ZigBee® or Wi-Fi®, to gather information, manage usage and deliver the real-time knowledge that empowers smarter energy choices. London, ON - November 5, 2009 - The Innovation Lab will give students and faculty of the Department of Electrical and Computer Engineering (ECE) hands-on experience with the latest power system protection and communications technology used to improve the resiliency and responsiveness of the electrical grid.